World Blog #5 | The International Cricket Hall of Fame. The small central-American nation of Belize has a long cricketing history. An affiliate of the International Cricket Council, it borders Mexico and Guatemala and is near to the famous cricketing archipelago of the West Indies. 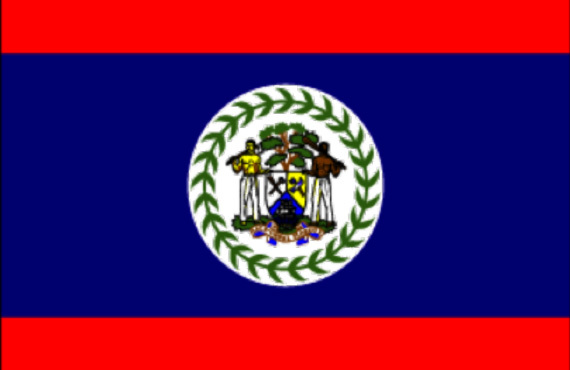 Belize is a member of the British Commonwealth and was known as British Honduras between 1862 and 1973. The origins of the game in Belize are unclear although historians believe British settlers in the country and visitors from Barbados played a crucial role in its development. By the 1890s cricket was a conspicuous pastime in the nation but organised competition lost popularity during the 20th century. It is, however, still played recreationally. In 1997 Belize became an Affiliate Member of the ICC however did not make its international debut until 2004 against South American neighbour and ICC Associate member Suriname. Belize was victorious. Belize hosted the inaugural Central-American Championship in 2006 and enjoyed success against Costa Rica and Mexico. After these victories Belize competed in Division Two of the America’s League but fared badly finishing last behind Argentina, Bahamas, Panama & Suriname. As a consequence it was relegated to Division Three of the League where it has since remained and competed. Belize is ranked ninth in the America’s League.